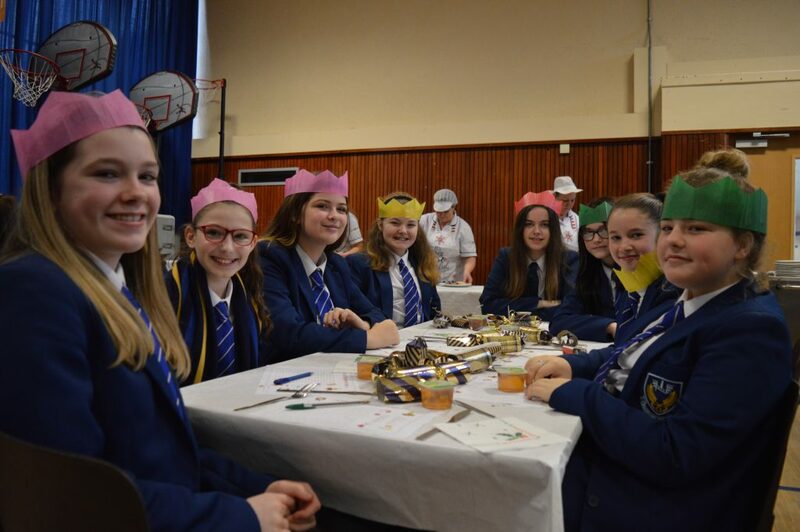 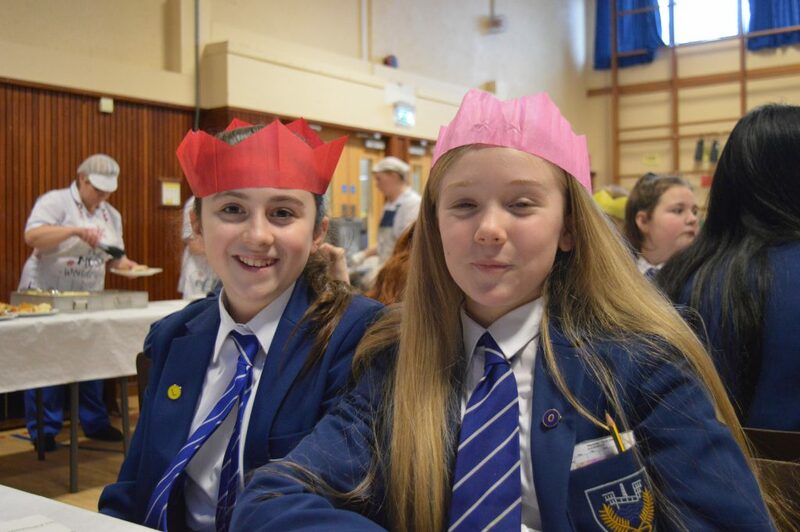 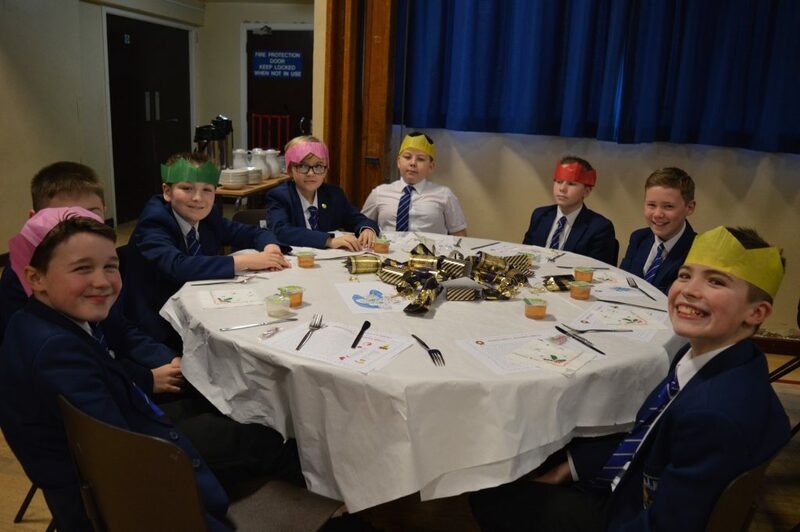 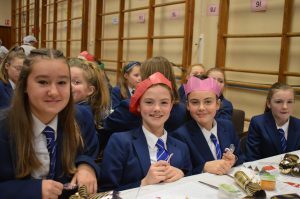 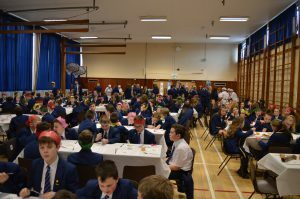 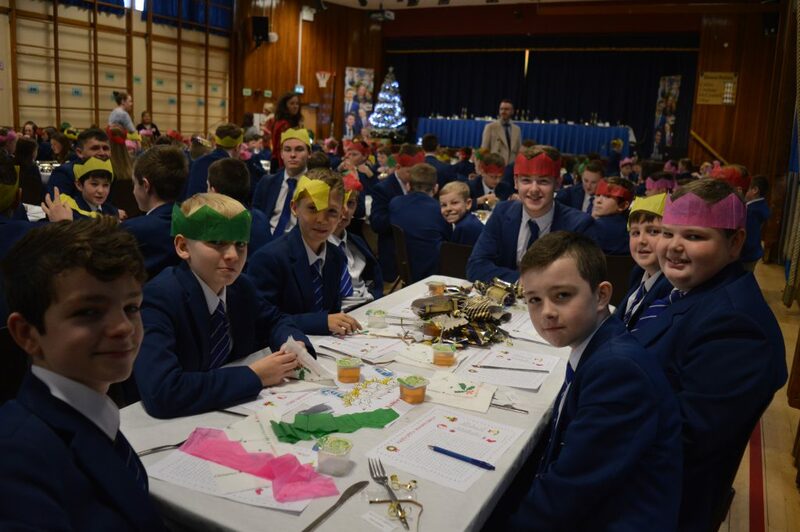 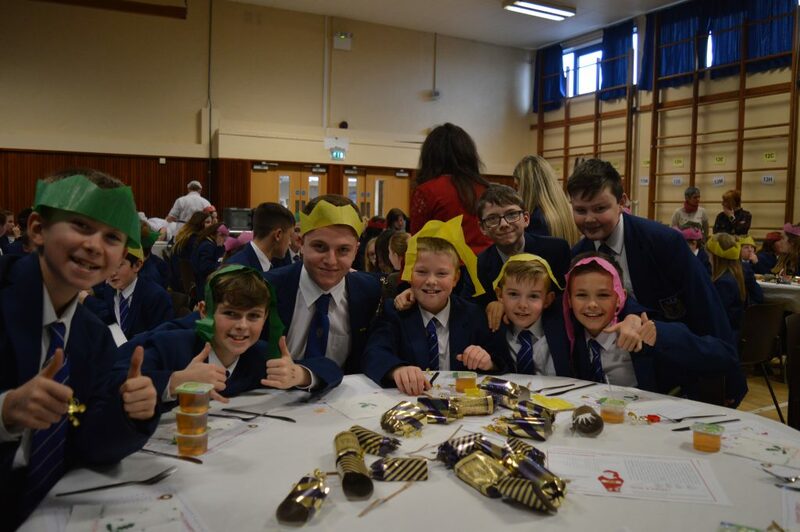 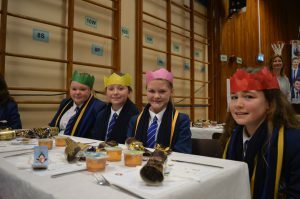 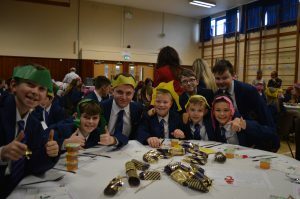 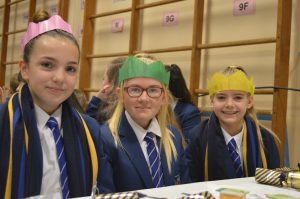 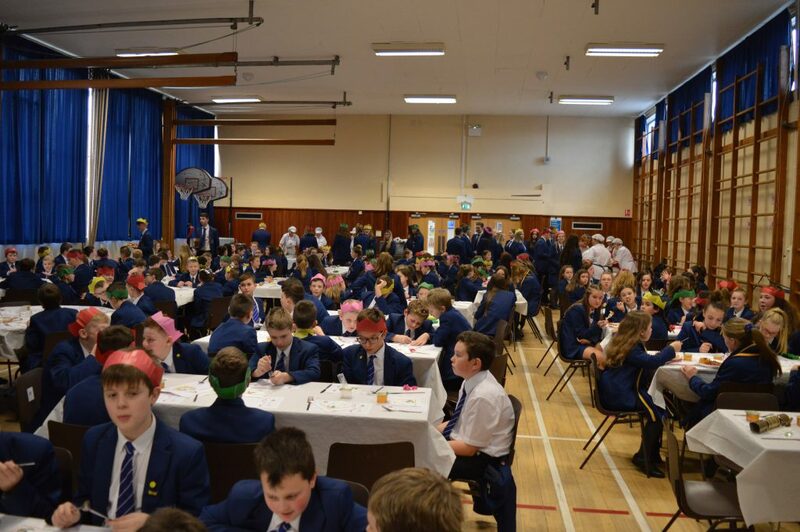 On Thursday 6th December the Year 8 Pupils enjoyed their Christmas dinner which was hosted in the Assembly Hall. Principals and school representatives from our local primary schools were also invited to attend. 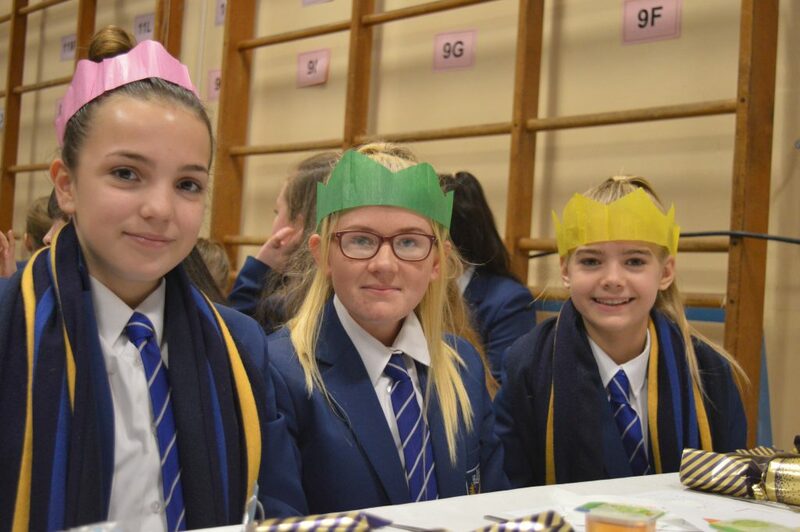 All pupils enjoyed the lunch and it was a great opportunity for their former teachers and principals to see how well they have settled into life at Ballyclare Secondary School.